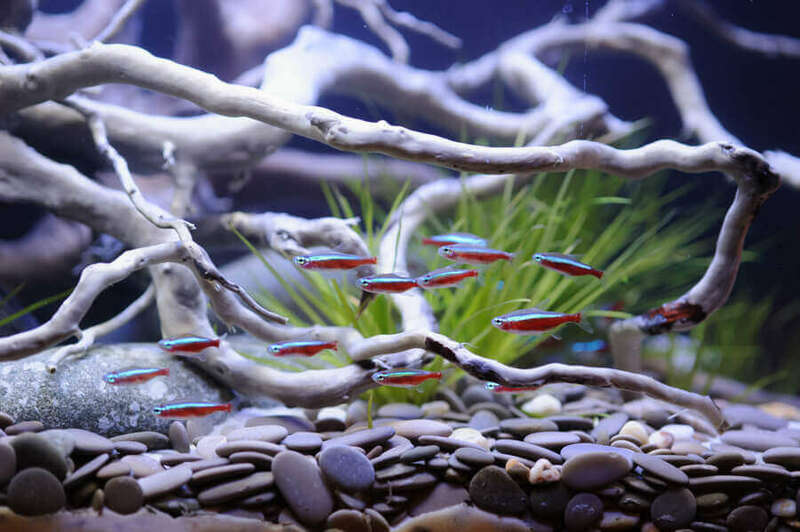 Once the aquarium is experiencing a full-blown algae bloom, nutrient control alone is only part of the recovery process. 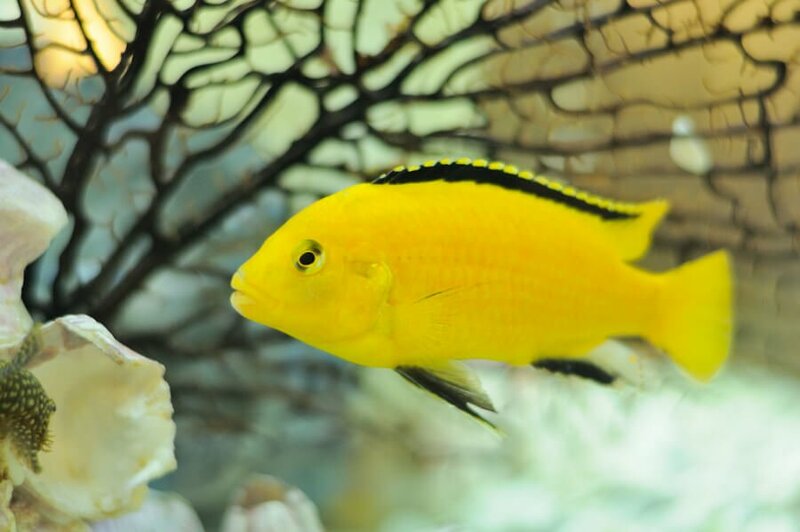 But what about aquarium algae control & prevention before an outbreak occurs? Is nutrient control equal to algae control? 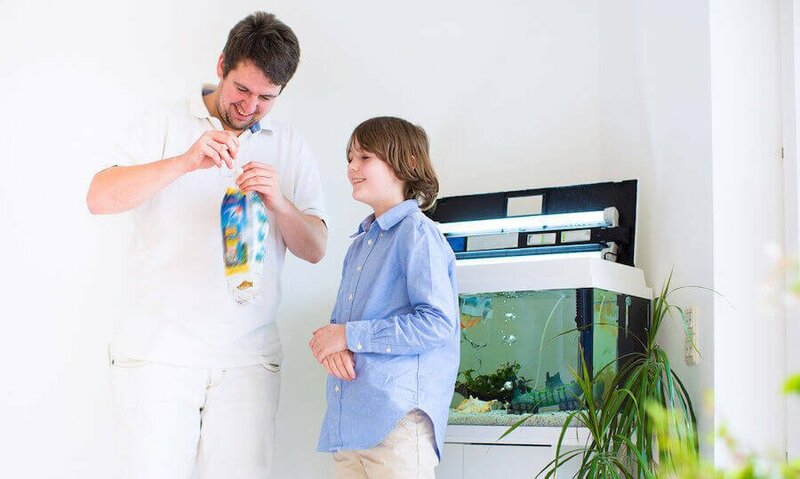 Can limiting one of the essential nutrients, per Liebig’s Law of the minimum, prevent or repress algae growth? 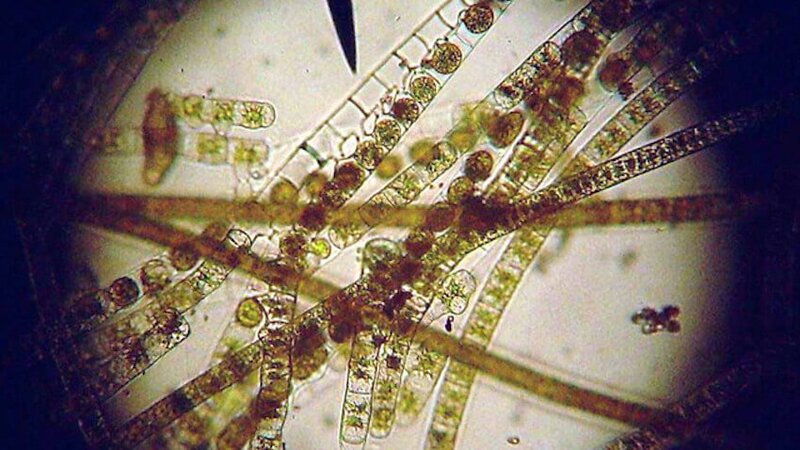 Algae, unlike plants, cannot store essential nutrients. For growth, algae require nutrients to be present in the surrounding environment. The needed nutrients are nitrogen nitrate (N), phosphate (P), and potassium (K). Note that NPK is the basic composition of any fertilizer. The measurable and readily utilized form of phosphate is orthophosphate. Phosphate of course is a building block, and organic phosphates are generally available in abundance. 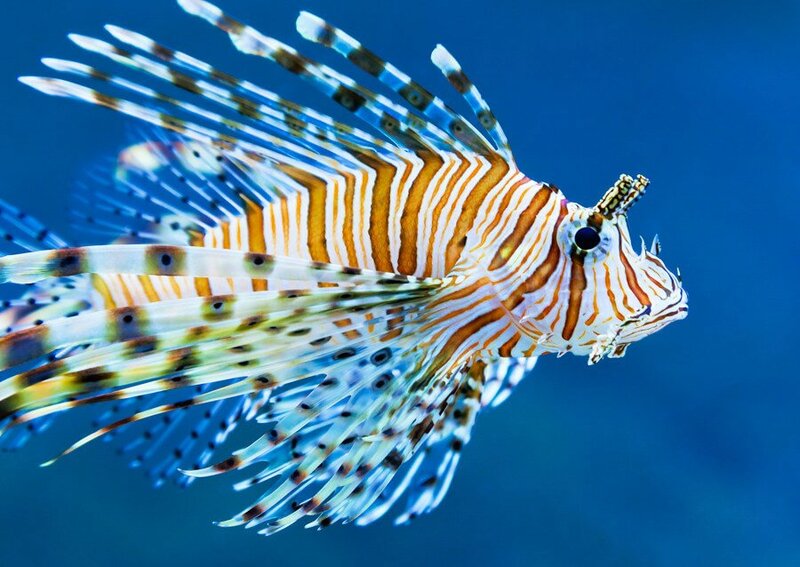 While harmless in its organic state, anything decaying in the aquarium will transform this insoluble form of phosphate into the soluble form – orthophosphate. 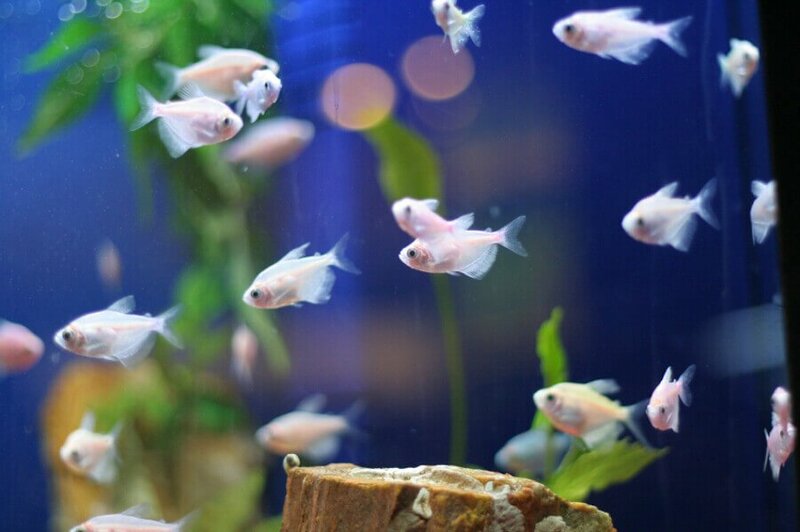 Fish foods, especially flakes, contain soluble phosphates, so do water softeners and pH regulators. 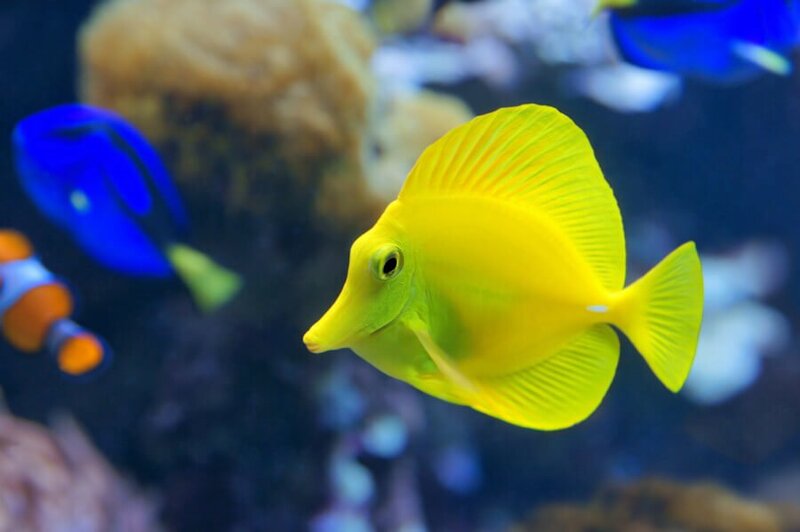 Potassium is of no concern unless the aquarium is planted. It is essential for plants because potassium acts a catalyst, “activating” dozens of enzymes vital for plant growth. 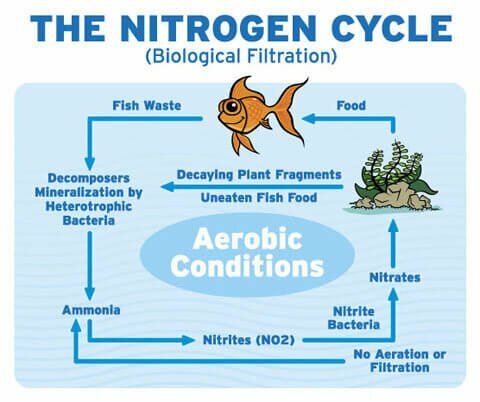 Nitrogen nitrate is another big factor, but can be successfully controlled with a combination of good husbandry, low stocking rates, moderate feeding habits, and of course an effective nitrate remover such as Algone. 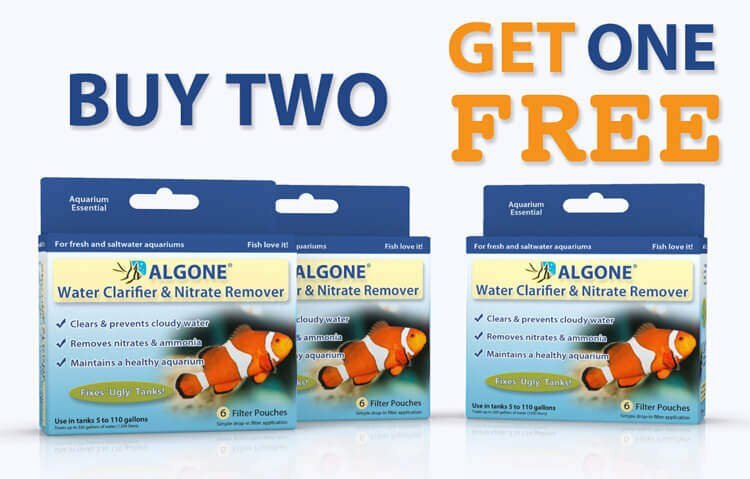 Understanding the needs of algae, as outlined above, leads to the widely accepted conclusion, that limiting nitrates is the most effective means of aquarium algae control. Nitrates are easy to measure and we have several ways of controlling the amount present in the tank. 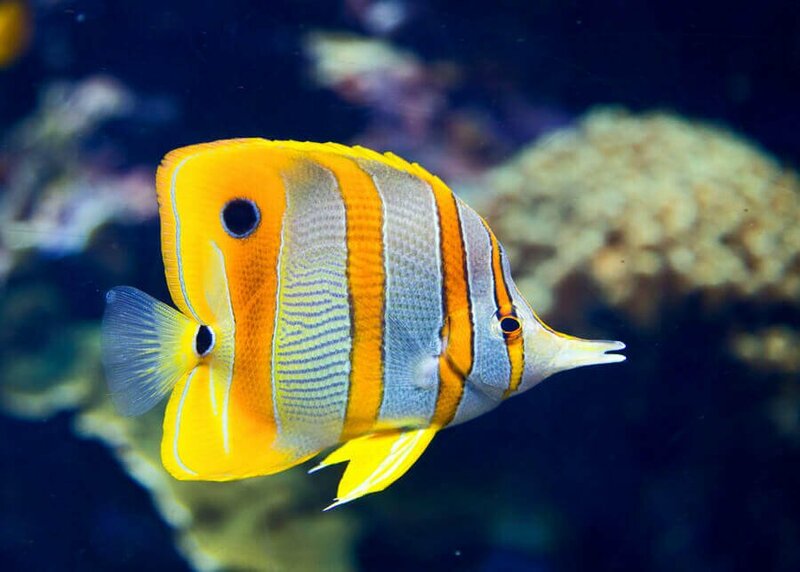 Inevitably, nutrient control aimed at algae control & prevention, will prompt us to reduce the overall amount of waste entering our aquarium. At a very minimum, for those determined to reduce nutrients, organic waste entering the tank cannot be left to dissolve and decay carelessly. 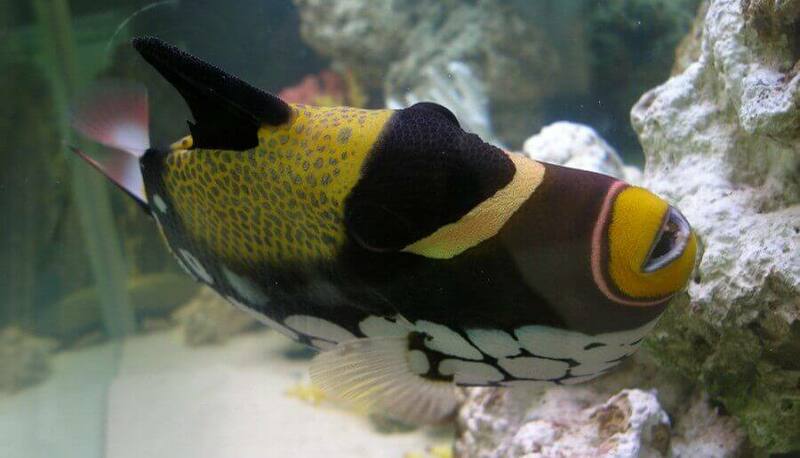 Once the nutrient load of the aquarium becomes too great, an algae outbreak is a near certainty. 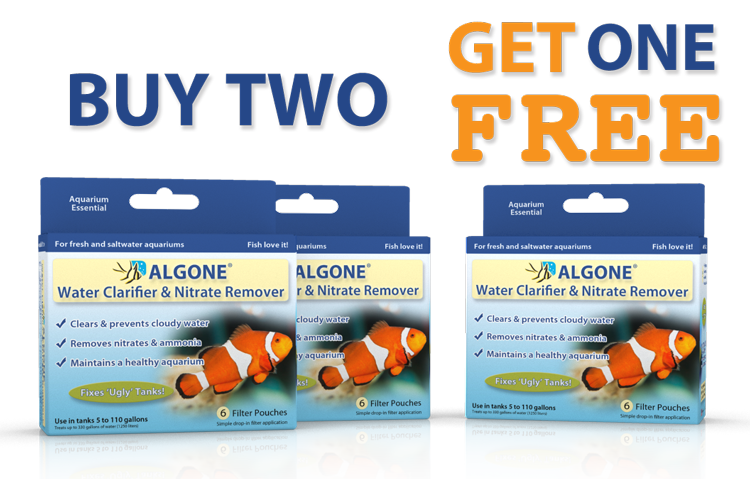 Controlling nutrients is our best means of preventing, repressing and essentially controlling algae in the aquarium.